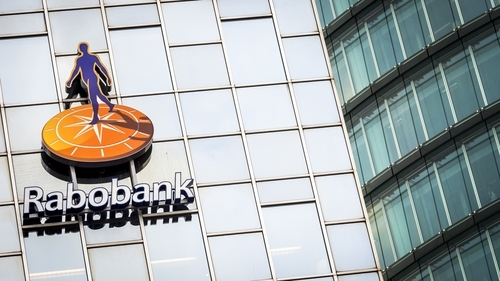 Rabobank has confirmed the sale of a €800m loan portfolio - which was formerly part of ACC Bank - to private investors. The portfolio consisted of a range of loans; including mortgages, commercial lending and consumer loans. It was also a mixture of performing and non-performing loans. The Dutch bank said it had a secured portfolio to a consortium including Goldman Sachs and CarVal Investors, while an unsecured loan portfolio has been sold to Cabot. Rabobank said the sale would have a small-but-positive impact on its net profit and its capital ratio. It marks the group's complete withdrawal from Irish retail banking, while it also represents the last stage of the winding down of ACC Bank. Rabobank said that consumers impacted by the sale would soon receive a letter notifying them of the change, however they would continue to be protected by Central Bank codes and regulations. ACC has its origins in the Irish Free State, beginning as a farm and agriculture lender before expanding into other areas in the 1990s. In 2002 it was sold to Rabobank, however it suffered significant losses during the economic crash. That ultimately led Rabo to hand its banking license back to the Central Bank in 2014, though it continued to manage it remaining loan portfolio in the following years.